Get an overview of the work and achievements during the last month, along with community updates, contributions and new integrations. We are getting used to having great news every month, and June has brought us many many joys. Keep reading to discover why we had such a great period. As a quick reminder, we would like to state that Santa Clara’s TechDay is the next big event in our agenda. Do not miss the chance to come! Well, almost. We have released OpenNebula ‘Blue Flash’ Release Candidate which is just one step from being completely ready. You know we like to do things right even if it takes a bit longer. You can help us downloading this RC version, testing and reporting issues through our GitHub project or our community forum. The OpenNebula team is now set to bug-fixing mode. Note that this is a Release Candidate aimed at testers and developers to try the new features, and send a more than welcomed feedback for the final release. Of course we didn’t forget about our stable release OpenNebula 5.4 for which we have uploaded a maintenance release 5.4.13 including all the bug fixes from previous hotfix packages. You can download this built packages here. You know we, at OpenNebula, love to make your life easier, that is why we are so excited to present you the new oneprivision tool. Yes, as you might have guessed, this will make your host provisioning much quicker and easier. By just running a few commands you will be able to have a complete bare-metal host configured and running perfectly integrated with your cloud front-end. Our engineering team has tested this tool with Packet bare-metal servers and it works as a charm! You can read everything about this new provisioning tool thanks to Alejandro Huertas, who has written this article containing a description and a how-to-use guide. Before listing all the contributions of the community I would like to remind you that, until the day we release the stable version of OpenNebula 5.6, you still have time to help with the translations. So if you want OpenNebula to speak your language, contribute through this link. Contributions of any size are welcomed so don’t be shy. To start with, we want to let you know that you now dispose of the latest Devuan ASCII free guest images ready to import in your OpenNebula infrastructures. You can check this neat tutorial for details on where to download and an installation guide. Having new technologies integrated with OpenNebula is one of the biggest pleasures for the OpenNebula Team, this is why we are very excited to present the new TM driver developed by our colleagues at LizardFS. With this driver OpenNebula and LizardFS storage ar fully blended. For further information visit the following link. Next, we would like to thanks @bestopensource for their great job on promoting open source projects like OpenNebula. This week they reminded all OpenNebula administrators that they can use this collection of scripts created by one of our most experienced and active users. Find these scripts here. Playing around with @nodeweaver at @HigecoSrl. Devs are enjoying the ability to boot entire infrastructures to test their stack with a couple of clicks. @opennebula Flow Happiness is in the air. Still a long way to the OpenNebulaConf 2018, however, we keep working on the organization to get interesting talks regarding open source projects and OpenNebula use cases in real world scenarios. Remember that if you register before the 15th of September you will have a 20% discount! We know some of you can’t wait until November to see us but do not worry, we will be present in many events this summer. If you live in the US this is your lucky summer. First you will be able to visit us at the VMworld US in Las Vegas on the 26-30th of August and then we will be present at Santa Clara’s OpenNebula TechDay hosted by Hitachi in their headquarters on the 30th of August. This TechDay is costless so feel free to register here and join us. Visit the event’s website to get all the information related. Of course, as every year, we will have a booth at VMworld EU 2018 that will be held on the 5-8th of November in Barcelona presenting some of the greatest advances coming in OpenNebula Blue Flash. 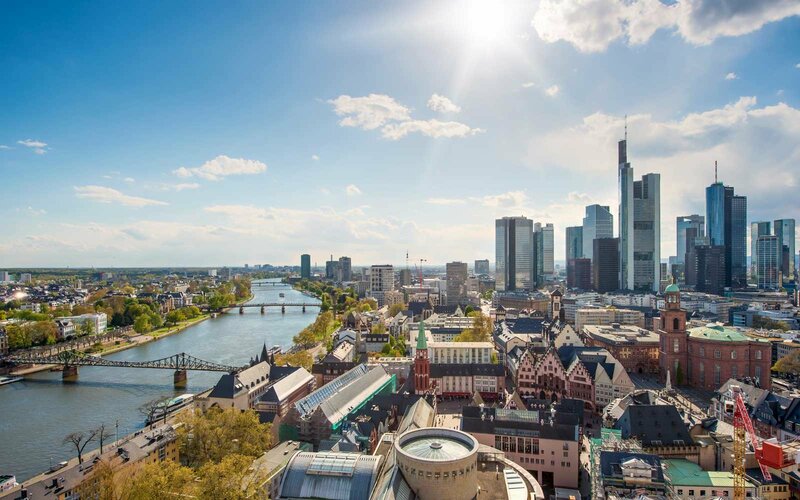 We have some other events coming in between like Frankfurt TechDay hosted by LINBIT. Check out our official agenda to see more events and updates.